For individuals with chronic low back pain, chronic joint pain and/or arthritis. Our wellness program offers a unique, whole body approach, designed to promote strength, flexibility, balance and overall function. The group meets twice per week for 8 weeks and has a maximum of eight participants. A small group environment allows our exercise professionals to provide a personalized level of supervision and social support. Take home exercise routine designed specifically for you! Please see below for our class schedule! 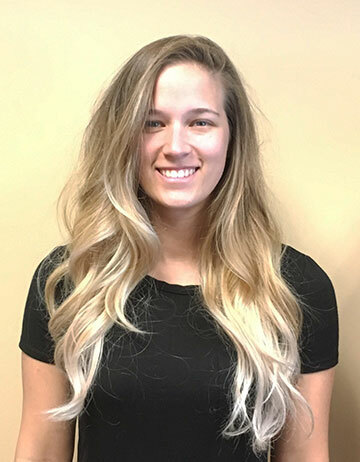 Tara Steadman has her Bachelor’s degree in Exercise Physiology from William Paterson University where she worked an internship in cardiopulmonary rehab in a hospital setting and competed on her NCAA college swim team. After graduating, she got a job as an exercise physiologist and program coordinator at a fitness and wellness center where she worked for 5 years. During her time, she specialized in and facilitated programs for: patients with Parkinson’s disease, chronic low back pain and Cardiac Rehab Phase III. Tara is currently enrolled in graduate school at Rutgers to attain her master’s degree in Health Administration. In her spare time she likes to read, get active outdoors, and spend time with her family. Tara is excited to bring her knowledge, experience and enthusiasm to CMI to innovate and facilitate new ways to help people through new programs, resources and tools.